Cuba is among the most caliente travel destinations of 2016 and hot deals on tours and flights highlight the fact that there’s never been a better time to visit than now. Have you been dreaming about visiting the land of cigars, rum, retro Chevys’ and salsa but just…never got around to it? Discover how easy and rewarding a trip to Cuba can be. This is all about Cuba: what you need to know before you go – your comprehensive guide to planning a superlative trip to one of the most enticing and interesting destinations in Latin America. Classic American cars in front of the Capitolio building in Havana. Photo credit: Shutterstock. 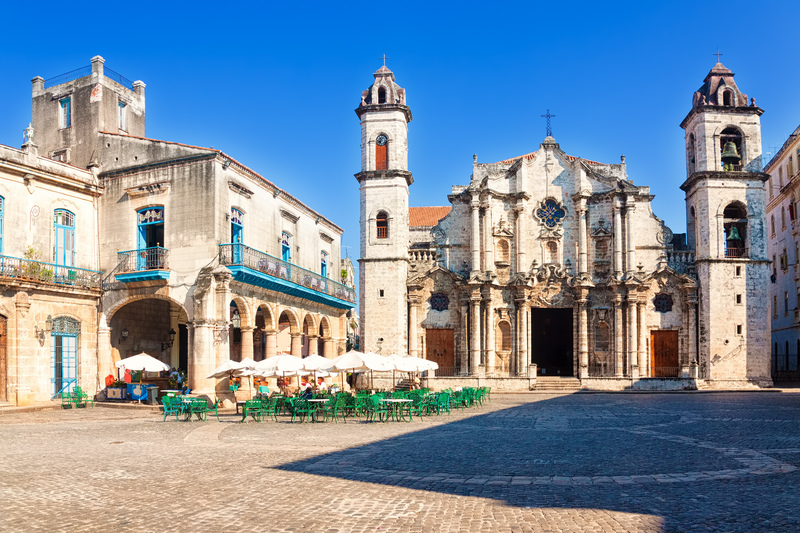 There are several types of Cuban visas available to Australians and most other foreign visitors, so make sure you apply for the one that’s most applicable to you. The great majority of tourists will enter on a 30-day tourist visa (called a Tourist Card) which can be extended in-country for a further 30 days. Do note that your passport must have at least 6 months left in its validity from the date of re-entry into Australia, and you must have return flight tickets booked. 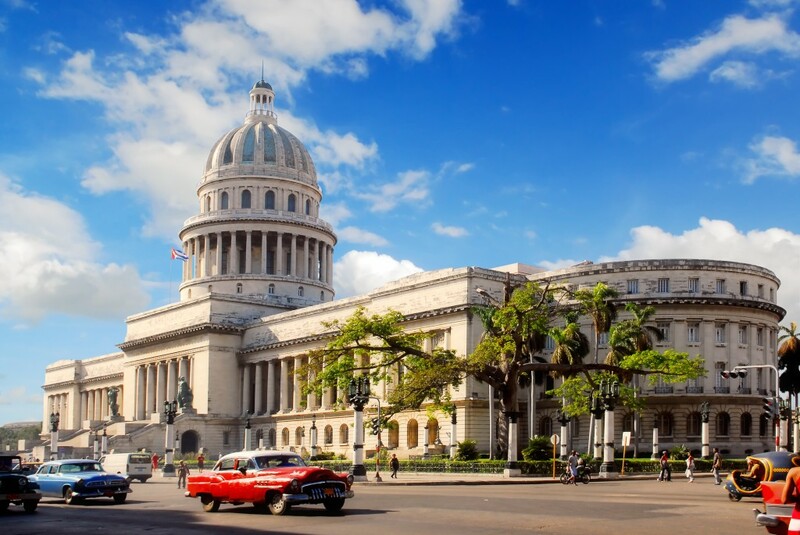 Check out our spiffy guide to getting a visa for Cuba to understand the tedious business of applying for your Cuban Visa. But know what? We have them in our office. Book an unforgettable tour to Cuba with us here at Chimu Adventures, and we’ll take care of your Cuban Visa. You’re welcome. US citizens need a bonafide reason to visit Cuba as simple ‘tourism’ has yet to be added to the list. However, there are at least a dozen different visas which are applicable to American visitors, so check out this handy Cuba travel advice for Americans to know more. In case you were thinking of traveling to Cuba with a huge bag of smoked ham in your suitcase (because why not?) think again, lest you lose it at customs. Import laws in Cuba are not unlike Australia’s, so if you’re an ‘average tourist’ with ‘average luggage’ you’ll be just fine. Except if you travel with a drone (as so many do nowadays) in which case you’ll most probably have it confiscated. For a full list of illegal import items, contact the Cuban Embassy in Canberra, or the Cuban representative in your home country. Do make sure that all medication you must carry is still in its original packet, and accompanied by a legible list written and signed by your doctor. If you’re carrying only items for personal use, and foreign currency not exceeding the equivalent of USD5,000 in cash, you need not declare anything at customs. Cuban musicians in Havanna. Photo credit: Shutterstock. Imperative and required prior to entering Cuba. We can help with this as well. Read our comprehensive guide if you’re wondering just how safe travelling to Cuba really is. If you book ahead you’ll certainly have no problems finding a comfortable hotel. There are quite a few in Cuba, however, the number is indeed limited. Levels of comfort can vary greatly, as can the amount of services they offer. Only very few have internet access, for example. 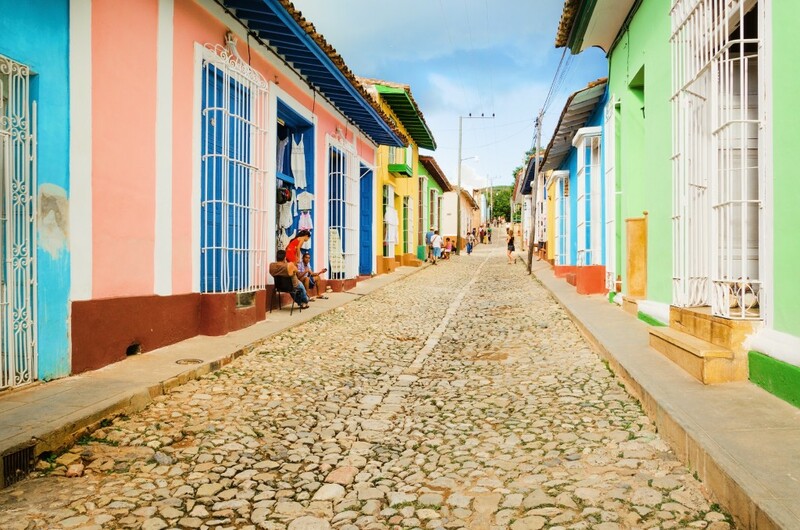 A colourful street in Trinidad – Cuba. Photo Credit: Shutterstock. Unless you’re from the USA, you can use the local Visa ATMs, however, there really aren’t all that many, and are renowned for running out of cash at the most inopportune moments. Like when you need it most. MasterCard availability is now allowed, but you’ll be hard pressed to find an ATM or merchant who’ll accept it. We recommend you check with your card’s issuing bank to confirm that the card will work in Cuba – and is not affiliated with the US in any way. This is also a great chance to alert your bank of your future travel plans to Cuba, lest you get stranded with blocked cards. If traveling here with a small bundle of cash (which you should) make sure it’s in Euros or Canadian Dollars only, not USD or AUD. Think of your trip to Cuba as an exercise in time travel: twenty years ago you travelled with cash and traveller’s cheques. The world may have moved on, but Cuba hasn’t. Official exchange bureaus (Cadeca) are available in all major hotels and on main tourist areas. Only ever change your money here and remember to ask for small denominations. The country works on a dual-currency system, with foreign visitors using the CUC (Cuban Convertible Peso) and locals trading in CUP (Cuban Peso). The rate of CUC to USD is 1-to-1. While internet is still critically limited to Cubans with sporadic access to the virtual world in several places around Cuba, many public squares in Havana have come to offer wifi hotspots, lately. In order to make use of these digital services, one simply needs to activate a prepaid card that enables access to the internet. Click here for more information on public wifi in Cuba. With the vast majority of Cuba still not digitalised, it may be an exciting idea to neglect these online services and try exploring this unique country without the help of tablets or smartphones. Nevertheless, it’s still a great idea to bring your phone along, because you can download great Cuban maps and guides to use offline. To be honest though, Cuba offers you the most invaluable digital detox you never knew you needed, and that’s without a doubt one of the most endearing aspects of a visit. Whether or not you agree/disagree with Cuban government policies is quite irrelevant: getting your hard-earned cash funds to the hands of locals is always a responsible thing to do, no matter where you go. We can help you organize a homestay (casa particular) instead of a room in a government-run hotel. Not only will you directly contribute to a local family’s wellbeing, but you’ll get to experience a side of Cuban live you’d otherwise never see. Paladras are family and privately-run restaurants which offer authentic meals in a homely environment, for a fraction of the cost of large, government-run restaurants, which are slowly but surely being taken out of the commercial equation. Savour the local meal in a paladra and not only will you taste Cuba at her best, you’ll feel good knowing you’ve helped a family grow their private enterprise. Australia does not yet have an embassy in Cuba, so turn to the Canadian Embassy in Havana who’ll help you out in case you have issues whilst you’re in Cuba. There’s actually a tonne more stuff you ought to know before you go to Cuba, the most enticing of which have nothing to do with visas and logistics! Whet your appetite with these 3 Fascinating Facts about Cuba, and start planning your trip to a country that seems to have been languishing in a timeless haze for decades. Come see it before it wakes up. 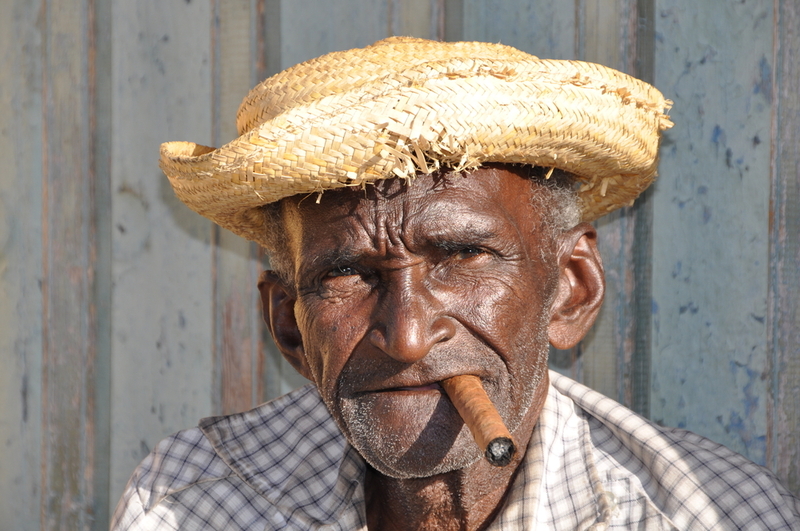 A local smoking cuban sigars. Photo Credit: Shutterstock. Virgin Atlantic offers direct flights from London to Havana, and from Australia the most convenient route is from Sydney, with one-stop flights through Lima. Imagine that? Take in a phenomenal tour of Peru and a visit to world-famous Machu Picchu, and end your trip with a relaxing week in Cuba before flying home. Fancy yourself architecturally gifted? Then enter our competition to design our new hotel in Peru….and we’ll take you to Lima for free! The cheapest option is often through the United States and Mexico, so you can combine your Cuban adventure with exploring some highlights of North America. We can help you plan a comprehensive itinerary that’ll include all your favourite places – even ones you don’t yet know exist. We’ll take care of all the logistics so all you have to do is pack your bag and start counting down to your once-in-a lifetime tour of Central America. 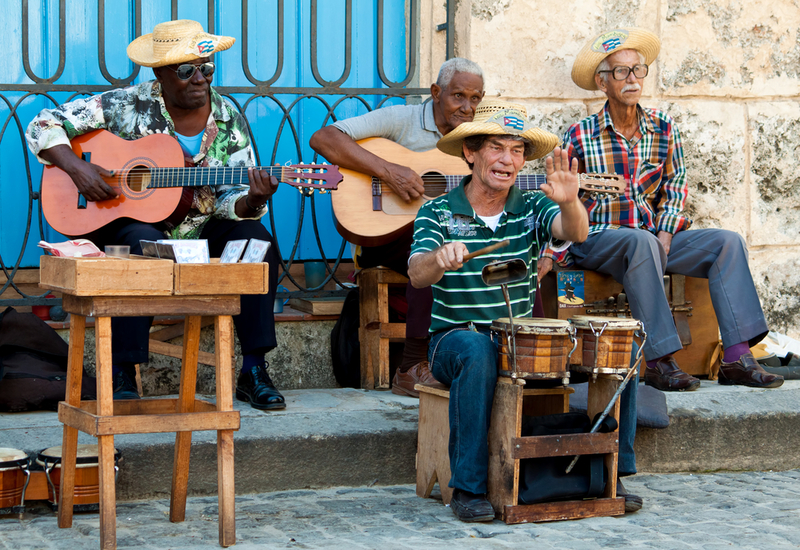 From Cuba's historical streets of Havana to the pristine shores of the Caribbean, stroll through World Heritage cities, relive a fascinating colonial history and experience the rich heritage of music and dance.